Affordable Visitor Gate Management Done Right! 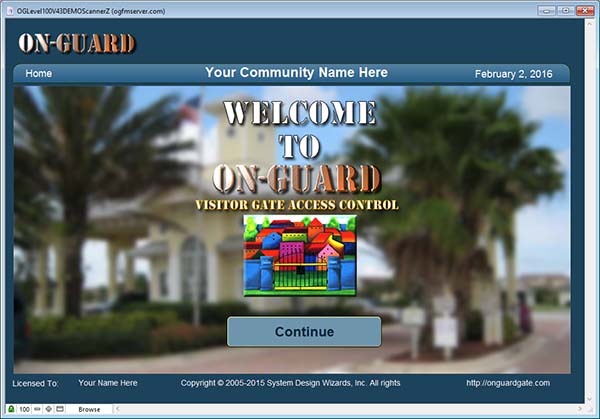 On-Guard is an affordable and easily maintainable gate security visitor control management software system that was written for almost any size homeowner or condominium complex that utilizes manned gate security. 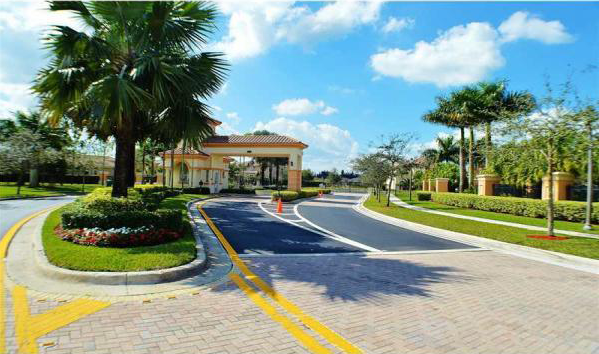 Find out why over 600+ communities use On-Guard for their visitor gate entry control system. With On-Guard being vigilant is easy! Stopping problems before they arise starts at the front gate. Don’t get caught off-guard, use On-Guard to be sure. Find out why over 600 + communities throughout the United States, Canada, Mexico, and South America use On-Guard every day! Call or contact us today. In the full networking versions, community residents now have the ability to view, edit, update and delete their own data by using their Internet connection and their browser. We also optionally provide the Security Officer to swipe the magnetically encoded drivers license information. Note: check your state laws to see if this is allowed. A WEBINAR to see the product demonstrated live is yours for the asking. Through the facilities of JOIN.ME you can see On-Guard in action. Call or send an e-mail today for an Webinar Appointment. We normally do these on Wednesday afternoons and all day Saturdays. All On-Guard customers receive live training, as well as, On-Line Tutorials. We will re-train as necessary at no charge..
All customers receive their On-Line training account during setup. Guards and Administrators can sign in and access the training and documentation material 24X7. 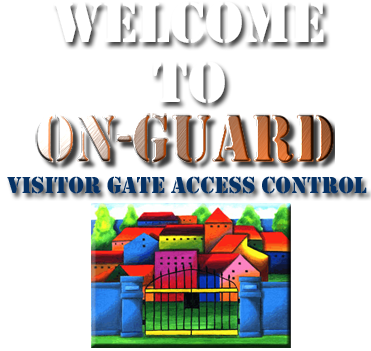 All On-Guard purchases come with an unconditional 30 day money back guarantee! The On-Guard Division of System Design Wizards, Inc is a proud member of the FileMaker Business Alliance.